Vitamins and minerals are important elements contributing to the overall nutritional requirement of your growing children. Today, many children have erratic eating habits and unbalanced diets, making it very difficult to get all the essential nutrients for proper growth. 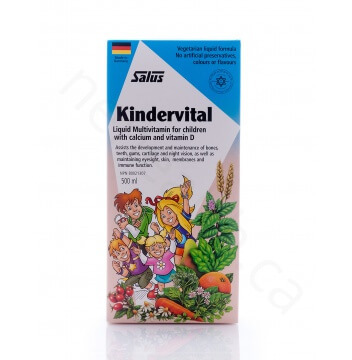 Flora Kindervital is a children’s dietary liquid supplement in a base of vegetable extracts and essential micronutrients that supports bone development and normal growth. They also play an important role in the development and maintenance of healthy teeth, gums, cartilage as well as to protect our eyes, skin and membranes. 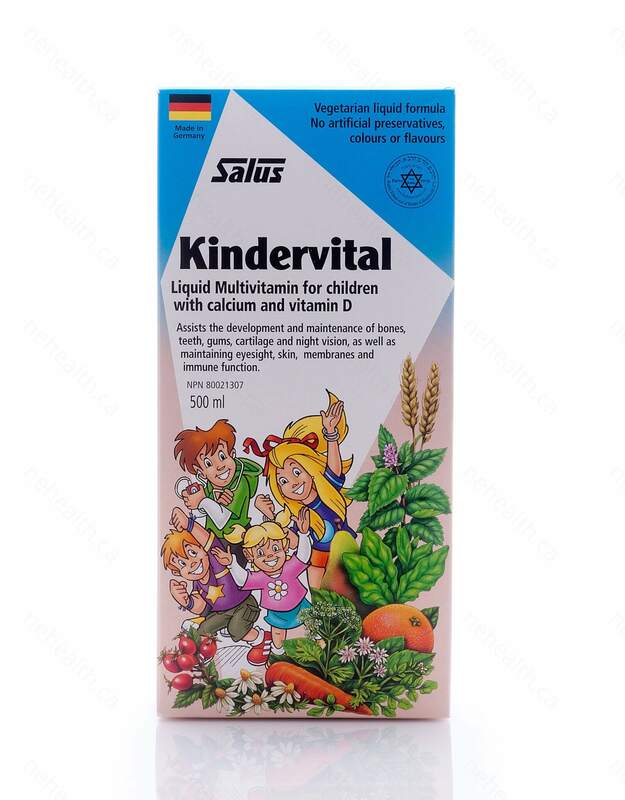 Kindervital comes in a vegetarian-friendly liquid form, easily absorbed into our digestive system. It contains no alcohol, preservatives, colours and flavours. Excellent for daily supplementation. Please note: Free shipping within Canada is not available for this item. 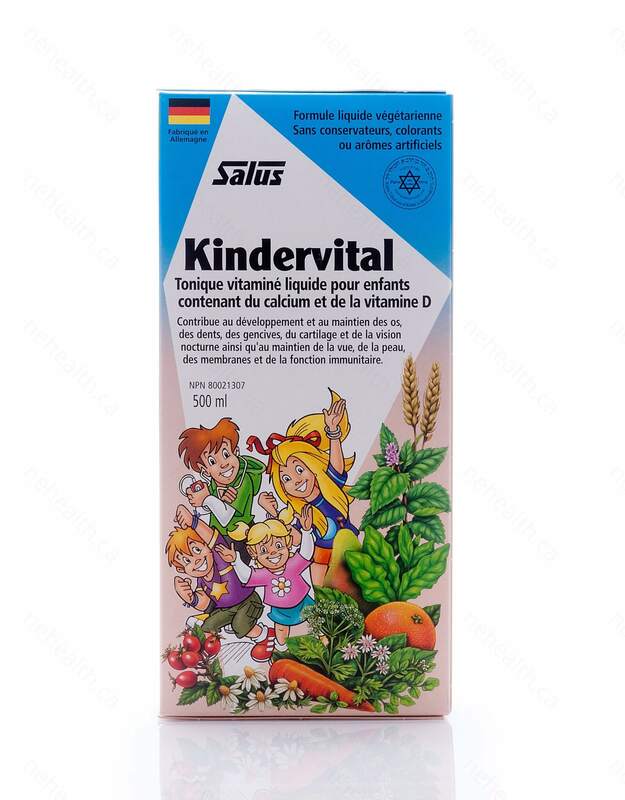 Non-Medicinal Ingredients:In a base of orange and pear juice, malt extract (from barley), yeast extract, maple syrup, honey, rose hip extract, wheat germ extract, natural flavour of cocoa and orange, water; infusion of carrot, anise seed, chamomile flower, peppermint leaf, watercress, wheat germ, coriander seed and spinach. For all sub-populations: Shake bottle well before use. Take a few hours before or after taking other medications. A measuring cup is provided. 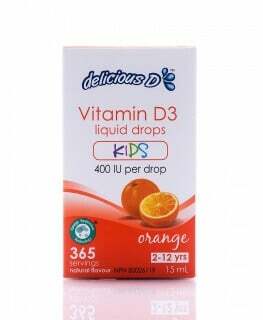 Children age 1-3: Take 5 mL (1 tsp) once daily. May be mixed with juice or drinking water. 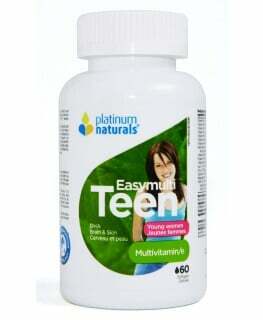 Children age 4-8: Take 5 mL (1 tsp) 2 times daily. 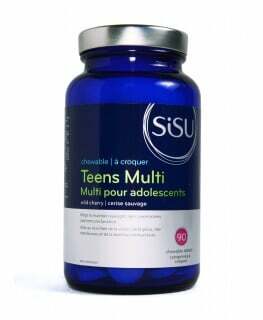 Children age ≥ 9 and adults: Take 10 mL (2 tsp) 2 times daily. 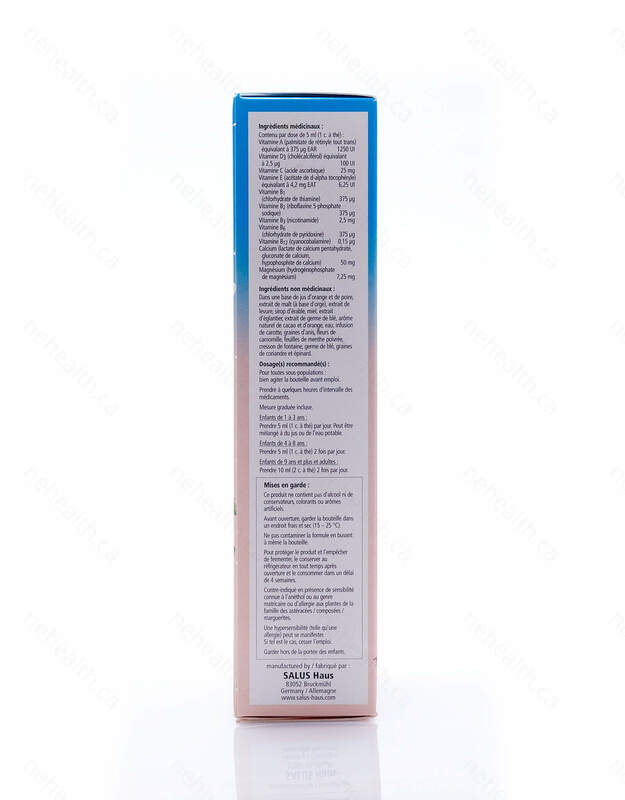 Cautions:Do not contaminate the product by drinking directly from the bottle. To preserve the product and prevent its fermentation, keep refrigerated at all times after opening and consume within 4 weeks. 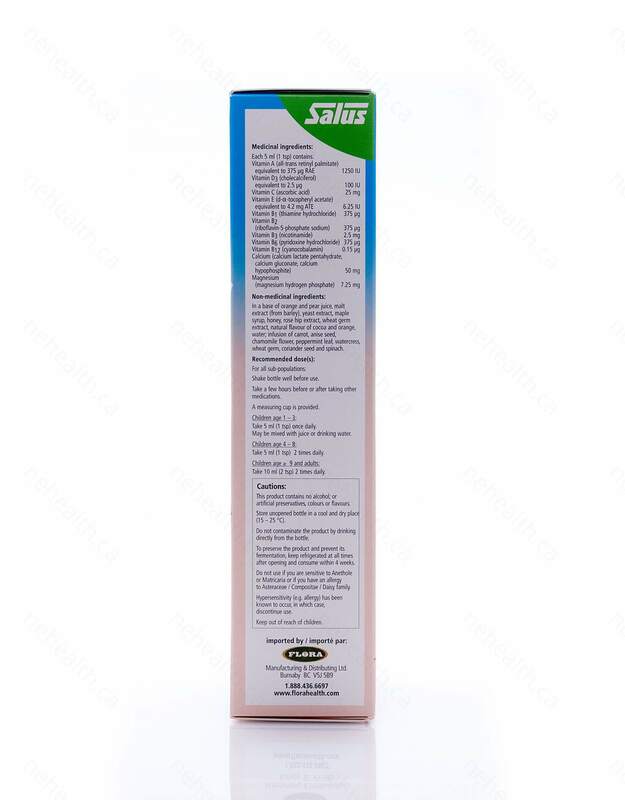 Do not use if you are sensitive to Anethole or Matricaria or if you have an allergy to Asteraceae/Compositae/Daisy family. Hypersensitivity (e.g. allergy) has been known to occur, in which case, discontinue use. Allen, Richard E., and Anya L. Myers. "Nutrition in toddlers." American family physician 74.9 (2006). Engler, Marguerite M., et al. "Antioxidant vitamins C and E improve endothelial function in children with hyperlipidemia endothelial assessment of risk from lipids in youth (EARLY) Trial." Circulation 108.9 (2003): 1059-1063.